This is not a warm winter for Huawei. Politico reported on Feb. 7 that President Donald Trump planned to sign an executive order to ban Chinese telecom equipment from U.S. networks, although this did not happen before Mobile World Congress at Barcelona 2019 at the end of February. However, the National Defense Authorization Act (NDAA) that was passed in August 2018 already banned U.S. government agencies from using products made by Chinese telecom firms. The executive order would ban the usage of Chinese telecom products in U.S. private companies. The report indicated that large Chinese telecommunication companies like Huawei and ZTE would be affected. This might be another arctic blizzard for these companies. Huawei CEO Ren Zhengfei, whose daughter Meng Wanzhou is waiting to be extradited to U.S. on criminal charges, warned employees in late January that the company had to prepare for “times of hardship” as it faced increasing scrutiny from countries around the globe. It is not clear yet whether the banning of Chinese telecom devices in the new executive order will only apply to wireless networks or to the whole telecommunication networks. 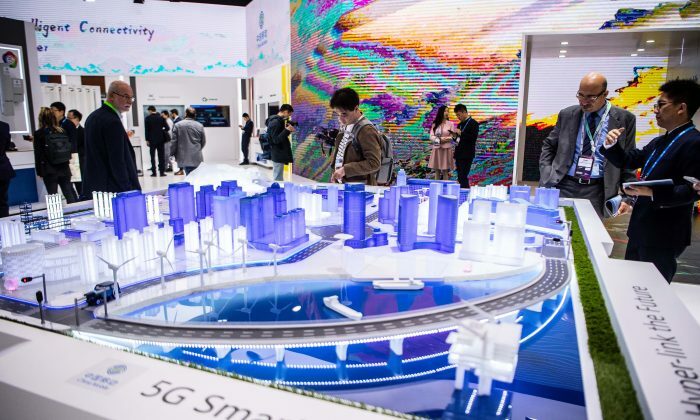 Currently, a lot of attention is on the aggressiveness on the 5G technologies by these Chinese companies, however, their threat goes way beyond that. The Chinese regime has developed its 2025 strategy which emphasized the drive of AI technology to make themselves the global leader in AI by 2030. 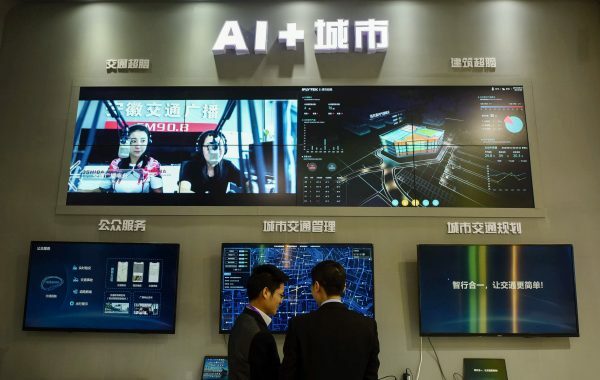 Boasting tight synergy between the regime and major tech conglomerates that provide almost every service for the population (like Baidu, Alibaba, Tencent and Xiaomi), China is making quick progress on big data and AI technology. From buying AI-focused startups abroad and investing more in AI-related research, China is taking advantage that it has the world’s biggest dataset at their fingertips: the Chinese population. China’s aggression on this front does not mean that it would deviate from its dictatorship and tight controls on its citizens. The technology can provide all sorts of data that is unprotected, allowing the regime to track and monitor every second of their connected lives. When they’re not connected to their phones, China has a contingency plan in place. Now, under the large scale of urbanization, China is also aggressively driving the development of smart cities. 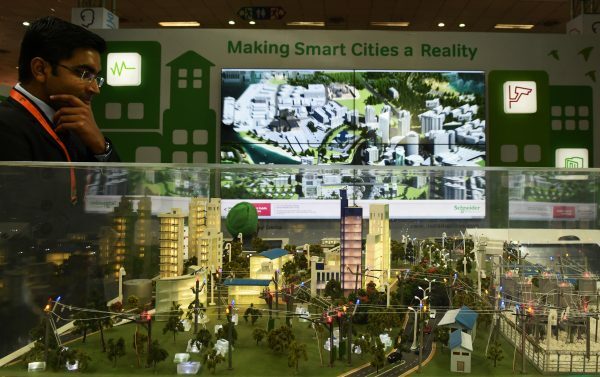 According to a report by Deloitte, China now has about 500 smart city projects now, covering big and small cities, while the whole world only has about 1,000 smart city pilot projects. China aims to have over 100 smart cities built by 2020, while over 300 cities have signed the pledge with the major high tech companies to develop into smart cities. The rapid construction of smart cities and the introduction of various policies have enabled China’s Internet of Things (IoT) industry to maintain rapid development momentum. According to China’s Ministry of Industry and Information Technology, as of June 2018, the number of IoT users in China has reached 465 million. The annual report on China’s IoT Development in 2017-2018 shows that the number of public network machine-to-machine (M2M) connections in China have exceeded 100 million, accounting for 31% of the global total; meanwhile, the scale of the IoT industry increased to 118.66 billion RMB yuan in 2017, with a compound annual growth rate of 25%. The report also predicts that China’s IoT industry will continue to grow rapidly and was expected to exceed 1.5 trillion RMB yuan in 2018. Major cities in other countries only attempt to pilot smart city projects because there are a lot of discussions about a whole array of concerns on data privacy, data compatibility, data security, IoT stabilities, network stabilities, infrastructure vulnerability, challenges in future upgrades, and related legal frameworks needed. China’s great-leap-forward-style and central government-driven campaigns on smart cities do not give time and opportunity for some concerns or vulnerability to manifest in a natural way that can be handled. If there is a severe drawback, loophole or weakness that emerge in the system design or specific technology in the future, then it might not be a sporadic outbreak, but rather a widespread endemic. Huawei’s connection with the Chinese regime and its contract with Chinese public security bureaus surely enable Huawei to progress quickly in data collection, storage, analysis, and its advantage could surely expand to other non-information communication technology sectors. This has helped Huawei to package a one-stop full-service smart city solution which has given a competitive advantage for Huawei. The outcome is that its Smart City Solution is already in operation in more than 160 cities in over 40 countries. Similarly, another major high tech company in China, ZTE, is also pushing forward its one-stop solution for the smart city. ZTE can control every aspect of the smart city project, especially the core service of Big data cloud platform, internet data center, and communication network where AI technologies could conduct in-depth analysis. This statement clearly indicates the power of the complete one-stop solution. In early 2018, the Germany city of Duisburg started to partner with Huawei to develop Duisburg into a smart city. “Both partners agreed to make Duisburg an innovative and digitized model city in Western Europe within a few years by implementing new information and communications technologies (ICT),” a press release on the matter said. Then on June 6, Duisburg and Huawei agreed to begin implementing the “Rhine Cloud,” which provides the data storage and service foundation for future developments. The Rhine Cloud is another name for a unified “smart city” and Public Services Cloud Platform, which unifies otherwise disparate data of city maintenance and governance from Duisburg into a single database. Does this mean that China can enjoy reading and controlling all the public or private data from a German city, while drinking a cup of tea? Has Duisburg sold their digital brain and nerve system to a communist regime? To enhance data security protection, the U.S. government needs to look beyond banning Chinese telecom device. The smart city technology, as well as cloud, data center or AI services, all pose security risks if these services were provided by Chinese companies. The U.S. government and local municipalities might need to spend more effort and resources to identify alternative suppliers with better security. However, this provides a long-term solution to the problems of constant monitoring critical devices for potential security-compromising tricks by bad actors. This may cause some cities to delay their smart city projects, but the benefits of using more mature technology might outweigh the slower pace to enter the market. The extra costs to replace devices or technologies would be tremendous if problems with Chinese devices or technologies were identified after deployment. So, Chinese ICT companies offer one-stop solutions for rapid launching of your smart city projects with a cheaper offer, but it might have security loopholes and vulnerabilities. But once you are hooked on, you may find yourself hard to back out entirely. Meanwhile, a solid moral and ethics foundation is needed before we quickly jump into creating smart city projects. It is indeed a moral and ethics issue when using the technologies from companies that help build the surveillance state and support the suppression of Chinese citizens by the Chinese regime. China is exporting sophisticated surveillance systems to at least 18 countries. And according to an October 2018 report published by Freedom House, those systems are capable of identifying threats to the government and has made it easier to repress free speech in 36 other countries. The proliferation of the Chinese regime surveillance and city management technologies may be facilitating massive human and civil rights violations. The investment from Huawei in Zambia has been a clear example for this trend of transforming another city/country into a surveillance state. Therefore, like-minded cities that share the same democratic values and ethics need to work together to create an ethical foundation for creating smart city projects, to address the concerns on human rights abuses in using smart city technologies, and to prevent building surveillance states/cities using new ICT technologies. Dr. Xiaoxu Sean Lin is a former U.S. Army officer with expertise on infectious diseases, surveillance and global public health. He was the co-founder and former executive vice president of Sound of Hope Radio Network, and hosted talk shows on China’s current affairs on New Tang Dynasty TV. Currently, he is the founder and general manager of WQER-LP radio station. He is also a frequent news analyst and commentator for Sound of Hope Radio Network, with a focus on global public health, national security and foreign relations related to Asian affairs.